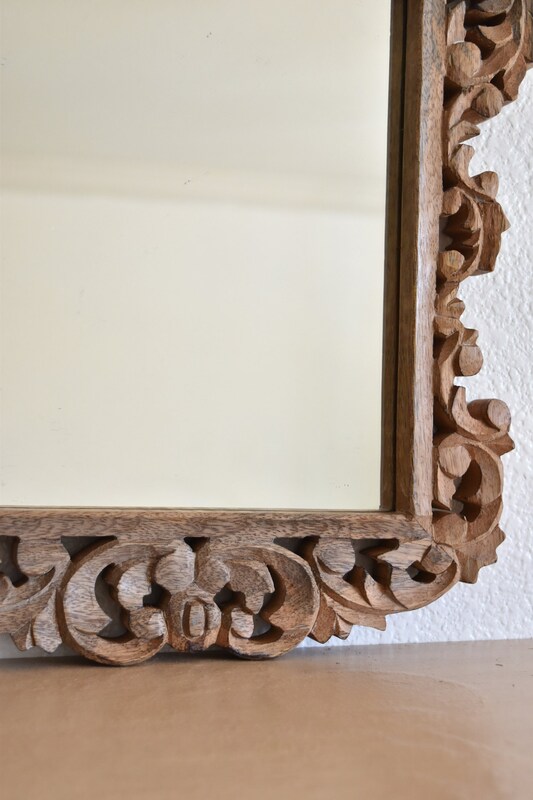 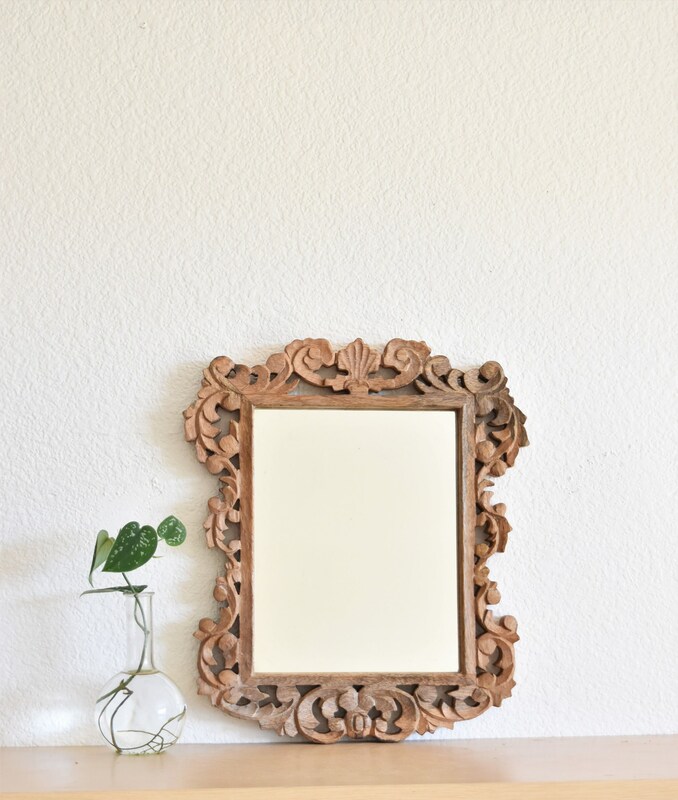 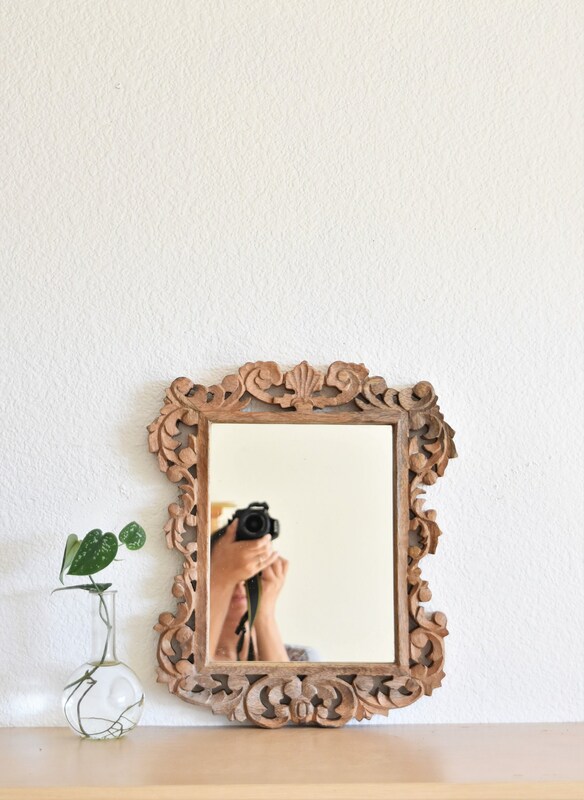 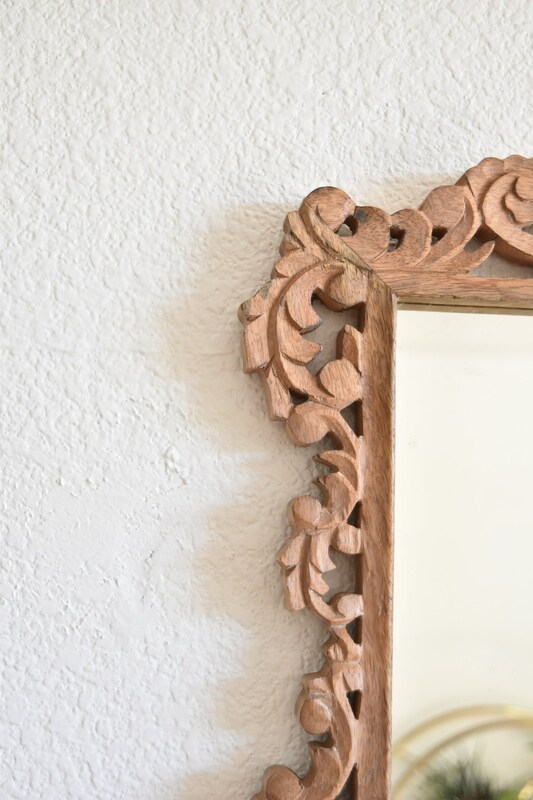 Fantastic ornate faux wood wall mirror. 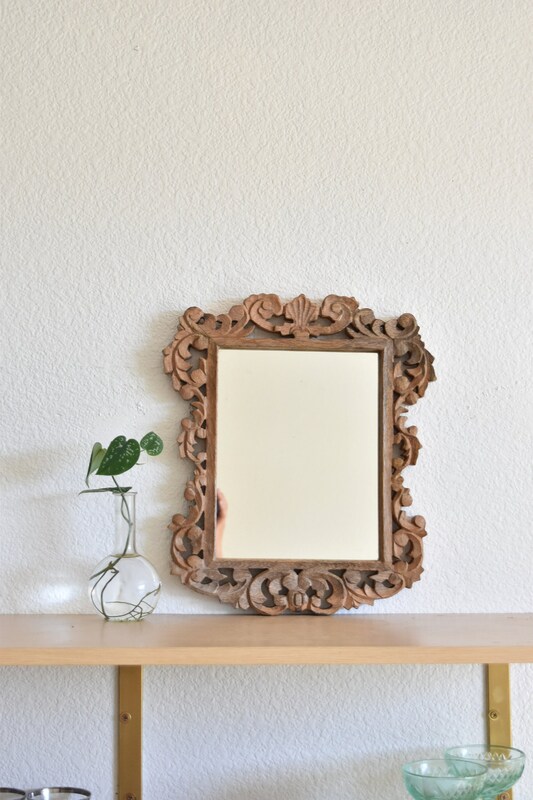 Looks to be made with some type of a mold using a wood mix. 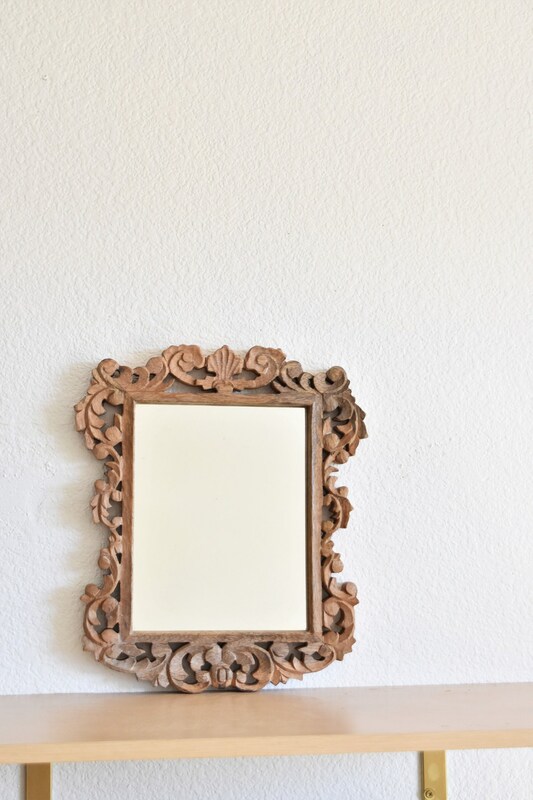 Mirror is in good condition with no significant wear. 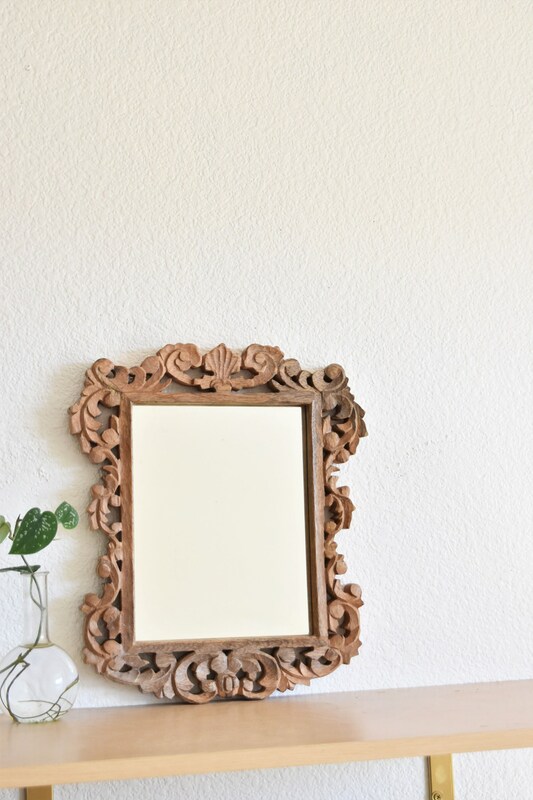 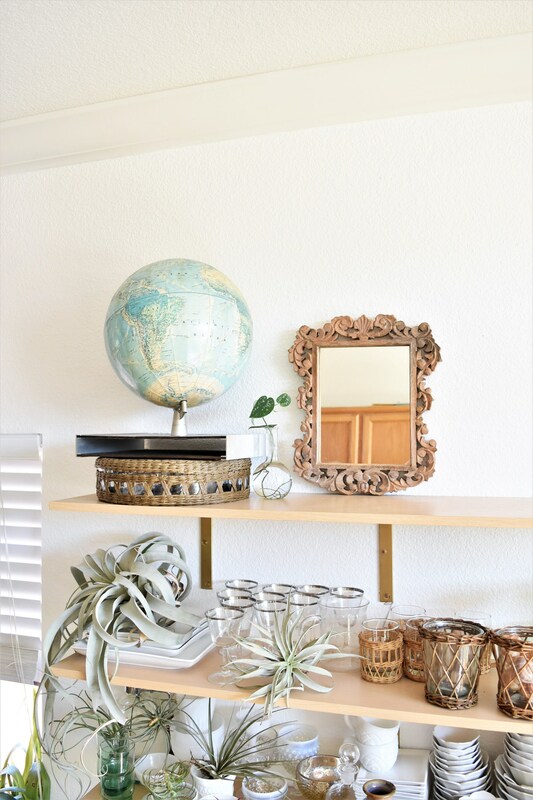 A beautiful piece for that boho or farmhouse inspired place.